At Fern Creek Medical Center, our goal is to ensure that all of our clients and patients leave our facility satisfied. We would love to hear about your recent visit with us - your feedback is greatly appreciated and helps the Fern Creek Medical Center family grow each day! "Jefferson animal hospital was very kind and welcoming! They got my little Apple in that day and all the tests she needed done were completed quickly and efficiently. They take great stride in checking up on your pet as well after their visit!" "I have been going to Jefferson Animal Hospital since I adopted my first cat in 1989. Prices are comparable to other locations. The service and care for my dog is well worth it. Have no complaints...this is a great place to take your pets." "Bridget and I met with Amanda K. She is an asset to the practice. She has a way about her that makes the owner and, most important, the patient as comfortable as possible while answering all your questions." "My pets receive the best medical care in town, but more importantly they are treated with love & compassion. I'm constantly impressed with how far JAH will go to make sure an animal feels as safe as possible." "Amanda and Dr Hoelter were very caring and professional in dealing with me and my cat that is almost 15yrs old and had not been to the vet since he was a kitten." "The staff is always friendly and helpful when I arrive at the office. They treat My cats as if they were family. Thank you to the staff at Jefferson Animal Hospital Fern Creek for your hard work and dedication." "Everyone there treats us like we are important to them. Respect for us and our animals." "Every staff member was super friendly, answered all my questions and truly made me feel like my puppy’s health was just as important to them as it is to me." "They are kind and gentle to Harley. They make you feel like family." "Clean facility and very friendly and knowledgeable staff and dr."
"My pet and I are always given all of the time and attention from the doctor and staff that we require. We are never 'hustled' through. I truly believe that the doctors and staff truly CARE about my pet." "Thank you all for great hospitality and making Oakley feel comfortable! She really loved all the treats and thank you all for going out of your way to make sure Oakley got to know you! We will be back!" "I appreciate that the hospital does not smell like animals. I also am so grateful for the care they give my pet. She is pretty aggressive and they are able to treat her with good care." "We’ve been coming here with my parents dog and now that I’ve got my own dog I decided to bring her here as well! Love the people here and it’s never difficult to schedule an appointment." "Recently moved back to Louisville & have been searching for the right veterinary practice. I'd been to 3 other vets in the area & none felt quite right for me. Very happy with my visit at JAH and know that I've found the one! Had a great experience!" "Thank you so much Dr. Corbett. I appreciate all you did for our babies. You were kind, professional, and made us feel we were leaving our Yorkies in the best of care. You addressed all our concerns and answered all questions." "It was amazing. The staff was incredible with my nervous pups. They made them feel very comfortable and calm through use of many treats and even a plate of PB and Cheese. They truly did a fantastic job. they had very reasonable prices as well." "We have two very large dogs that have been treated by a family member for years. After a move we had to find a vet we were comfortable with and we did. We are happy and so are the dogs." "I always feel confident bringing my pups to your hospital because I know the veterinarians and support staff are well trained and current on the most effective procedures and treatments. My pups always feel comfortable and relaxed in your office!" "Dr. Corbett was super efficient, very nice and took extra care of my kitty. All of the staff came together very well since my kitty had anxiety, they took extra steps to treat him with kindness which reduced his stress. Very happy, would reccommend." "I have to say that when you are experiencing a sad and painful time with your beloved pet it is so comforting to have an amazing staff helping you through. In particular, Dr. Corbett could not have been more compassionate and sweet while informing every step of the way. We had to say goodbye to our sweet cat but Dr. Corbett made that experience as gentle and easy as she possibly could. I can't thank you all enough and I will never forget your kindness." "Staff was friendly and knowledgeable and treated my pets with care." "Jefferson Animal in Fern Creek is Awesome. Very informative and makes you feel at home!! Noele enjoyed it except for her shots"
"The staff at JAH Fern Creek is awesome! From the front desk to the doctors, everyone is kind and compassionate, knowledgeable and efficient. They helped us when others wouldn't. Great people, great clinic!" "The same vet who saw us last year (our first visit) saw us this time. It made for a continuum of care that put me and Littlez at ease. Littlez stayed relatively calm because the staff was kind, gentle, and soft-spoken,"
"Jefferson Animal Hospital is the best. They answered all my questions and even gave me information I didn't know that I needed for raising my puppy Jaxson. I feel confident that my little (for now) guy is getting the best care possible." "I was very pleased with the courteous, prompt, professional service that my pet and I received. The atmosphere and the staff were welcoming and friendly. They went beyond expectations by carrying my dog to the car, a challenging process for me." "The Dr. Took time with us. Copied pages regarding our pet for us to take home. Was VERY thorough! Great experience. Thank you." "I would like to thank all of the people at the Vet's office for the great service, dedication, concern and kindness they have shown to both my cats. I have had to call a lot recently in the last three months with questions about my cats and your team have shown nothing but deep concern and professionalism. They always try to accommodate the times I need appointments. I have been bringing my cats to your office for the last three years and have nothing but good to say about your team. Also, my sister, nephew and 3 nieces also bring all of their dogs and cats to you and they have raved about your service and kindness." "I have been coming to JAHFC for years and everyone, including doctors, techs and staff are friendly, caring and compassionate. Also, besides giving quality care, the doctors are always willing to take the time needed to answer all my questions." "Best Vet in the city!" "They go above and beyond to help ease the anxiety and fear my dog faces at each visit." "Everyone was kind and knowledgeable. The vet (Corbett) is very knowledgeable and explains in detail what we need to do with our boxer girl who has Lymphoma. She is blunt (which I needed to hear) but very kind." "This is the only place I trust with my dog!!!!!" "Great team at front desk. Very clean and fresh. Dr Williams is amazing. She knows her stuff and she always makes sure she has crossed every "t" and dotted every "i". She found Gracie Belle's problem when another vet couldn't . AAA +"
"Great service. Dr was very informative and understood this situation was very hard for us. Even after our visit she spent 30+ minutes on the phone ducussing the test results and exploring our options!! She was awesome!!!" "10 plus! 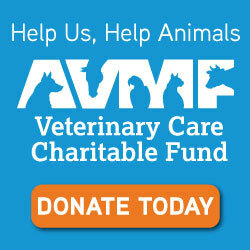 We have relied on Jefferson Animal Hospital for more than twenty years for the care of all of our fur-babies. We have the upmost confidence in the doctors. The off staff and vet techs are knowledgeable, considerate, and compassionate"
"My dog was very eager to enter the doors when we return for his surgery the next day. That was a surprise." "I have taken my cat Butterball a number of times to Jefferson Animal Hospital. The service has been great and the staff is very considerate and professional. They really care about their "patients" I don't know what they could do to make it better." "First off, Laura does everything she can to make my cat feel safe! Secondly, Dr. Hoelter is very concise and is willing to discuss the details. She is also very caring with my cat! Both reasons are why this is my go to vet for all my cats needs"
"Dr Corbett is great. Very knowledgeable, personable and good with my large breed dogs." "We have brought Goldie there since we adopted her (4+years), we feel your staff is knowledgeable & courteous. We always feel welcomed & appreciate your willingness to answer questions & take to with us!" "It was a wonderful experience. My baby boy was taken very good care of. I went in a nervous wreck, not knowing how to help my baby. I walked out with meds, answers, and knowledge about how to help him in the future. Thank you so much!" "The staff and doctors are all very courteous and caring. I know our dog will be in the best hands. I actually believe he enjoys his trips to the vet"
"I couldn't be happier with the veterinarians at Jefferson animal hospital. I feel they're highly professional, knowledgeable and really care about my pets and helping me give them the best quality of life possible." "My dog has been going to Jefferson Animal Hospital for several years. Their staff is very friendly and helpful. Dr. Hoelter is very caring and knowledgeable. She came in on her day off to care for my dog. She made our difficult situation much easier. I will always take my pets there." "They have been extremely friendly and helpful during a stressful time of not knowing what was wrong with my cat. I called this Morning before bringing him and they were extremely nice and helpful on the phone. Once I got in and explained the issue (urinary tract problem) they took my cat back right away to ensure it was not a bigger problem, it wasn't which was good. My time in the waiting room was not bad for being a walk-in on a Sunday. Once we went back the vet techs and the vet spent a nice amount of time with me and the cat explaining our options and taking care of him. They even have arranged for all the follow up to be done at our normal vet. I appreciated the great customer service and making a stressful situation a little easier." "Our dog suffered a seizure, something that had never happened before, on a Sunday and I went into panic mode. I knew Jefferson was an emergency clinic that was open 24/7 so in my state of hysteria I called them and told them what was happening. They calmly told me to bring him in and also let me know that I could expect to spend $300-$500. That may sound a bit insensitive but I'm sure that's info a lot of folks would want. By the time we arrived my pup was back to his normal self but we decided to run blood work to be safe. Luckily he is in good health and we just have to keep an eye on him. We also got out for less than $300 as we didn't require any emergency services or an overnight stay. My piece of mind was well worth the money and the staff was extremely helpful during a very stressful situation." "when you go to a 24 hr. emergency care clinic in late evening to get your dog's vaccinations and routine exam, you should expect that emergency cases will take precedent. Just like if you go to the people ER. So we waited with our dog, and that was fine. The staff offered to come outside and get us when it was our dog's time, so she didn't have to stay inside while waiting. We found the staff friendly and professional. Techs asked questions, did their necessary business, and explained various tests that were normally recommended for well pet care. They were gentle with our somewhat nervous dog. The vet found our visit to be a break from all the tough cases they dealt with earlier (when I called to see if they could do vaccinations in the evening it was a slow time, but once we got in about an hour later, they were slammed with cases), and explained recommendations for tests and why, gave the shots, pronounced her in great shape for a senior dog, and we paid no more for the convenience of evening hours, than we would have during the day. What I liked especially is the atmosphere-calming, quiet. nice furnishings. absolutely NO animal or disinfectant smells. Clean as a whistle. More like my doctor's office. Only the staff here is nicer!" "Exceptional ER care! Before people go off whining about cost, think about the difference between a human ER visit and a normal doctor's office visit; it's a difference of hundreds, if not, thousands of dollars Frankly, the ER vet is a pretty good deal and 24/7 care is worth it when your pet is violently sick or injured. No vet ever got into the business thinking they'd be making a fortune. Having used several ER vets over the last twenty years, JAH is one of the less expensive ER clinics and I thought their service was top notch. While I love my regular vet, she wasn't open at 5:30 on Monday morning when my dog started vomiting constantly. Luckily, we were the only patient there and were seen immediately. I'm very grateful they suggested an x-ray as his gastric distress had become aspiration pneumonia within a very short time. He went home with meds, fluids and a CD with his x-ray results. By 9am, my regular vet had been notified with a full case history passed on to her. I would absolutely take any of my pets there for ER care. While I hope to not have a reason to ring the doorbell at 3am with a sick cat or dog, I wouldn't hesitate to take them to JAH when I must." "We love your office and have been loyal customers since 2005! Our pets have been in good hands every time we come to you for an emergency or a check up. My dogs seem to be excited to see Dr Cheever and enjoy the treats! They may be nervous, but they don't run screaming from any of your staff. I love that you can do later appointments and no extra charge for them. 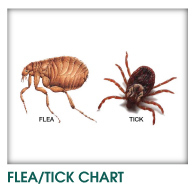 My husband and I also appreciate the care and concern when we ask for alternatives for topical flea, tick and intestinal parasites. New oral meds that don't make our dog break out in a rash and smell like bad grape cough syrup. Now they can sleep in our bed and not make it smell gross. You have taken great care of our family and the humans thank you very much!"